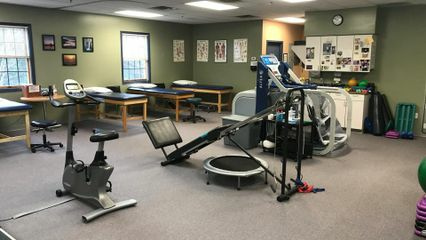 ProCare Rehabilitation L.L.C. is widely regarded as a leading expert in the field of physical therapy. Glen graduated Rutgers University with a Bachelor’s degree in Exercise Science in 1995 and New York Medical College with a Master’s degree in Physical Therapy in 1999. He has been the director of the Colts Neck office since 2005 and has taken extensive post graduate manual therapy courses in the field of outpatient orthopedics. Glen lives in Oakhurst with his wife and two sons. He enjoys coaching youth sports, skiing, mountain biking and yoga. Chris graduated from Rutgers University with a Bachelor’s degree in Exercise Science in 2013. He went on to pursue his Doctorate in Physical Therapy from Rutgers University, completing his degree in 2017. While in Physical Therapy School, Chris completed various clinical rotations in multiple different settings including ProCare Rehabilitation in Flemington. Chris plans on pursuing his certification in McKenzie Mechanical Diagnosis and Treatment of the Spine and enjoys working with patients of all ages. Chris currently resides in New Brunswick with his fiancé and enjoys golf, ice hockey, snowboarding, and outdoor activities.